This article is about the area of Hong Kong. For the district, see Sha Tin District. For the new town, see Sha Tin New Town. For the composer, see Judith Shatin. For the village in Armenia, see Shatin, Armenia. Sha Tin, also spelt Shatin, is a city along the Shing Mun River in the Sha Tin District of East New Territories, Hong Kong. Administratively, it is part of the Sha Tin District. It is one of Hong Kong's most prominent examples of new town developments in the 1970s. Together with its satellite town Ma On Shan, Shatin is the most populous city in the New Territories, with a 2011 population census of 630,273 within an area of 35.87 km2. Situated in the southern half of New Territories East below Tolo Harbour, it is the principal city of Sha Tin District, which is the second most populous district of the territory. The city was founded in 1973 under the New Towns Development Programme of the Hong Kong government. Its current name was named after the nearby village of Sha Tin Wai. Housing the industrial area of Fo Tan, Shatin's economy once heavily relied on manufacturing, logistics and transportation. Since the late 1990s, it has undergone an extensive transition into areas such as business, service, tourism, entertainment, culture, education, sports, technology and scientific research. This has been marked by the building of Sha Tin Racecourse, Hong Kong Sports Institute and the Hong Kong Science Park in its outskirts. Sha Tin was the location of the first flight of a powered aircraft in Hong Kong in 1911. The aeroplane was named as the Spirit of Sha Tin (Chinese: 沙田精神號). A full size replica of this plane now hangs in Hong Kong International Airport. The area was formerly agricultural farmland. Before Sha Tin's development into a new town, Hung Mui Kuk (紅梅谷), southwest of Sha Tin, was perennially the main site for school picnics. The valley remains a popular barbecue site. Starting in the 1970s, the area became part of the Sha Tin New Town development. Since then, the economy in the area has greatly improved and living standards have also increased. Sha Tin Town Centre was developed during the mid-1980s to help "link the town's currently dispersed residents into one cohesive community." The 18-hectare site, adjacent to the railway station, was built up in stages to house an array of uses including the New Town Plaza, numerous smaller shopping centres, Sha Tin Park, magistracy, library, town hall, marriage registry, hotel, New Town Tower, a town square, and residential towers. Sha Tin New Town under development in the late 1970s. Due to their proximity to the Shenzhen border, towns in the northern parts of Hong Kong, notably Sheung Shui and Yuen Long, have become hubs for parallel traders who have been buying up large quantities of goods, forcing up local prices and disrupting the daily lives of local citizens. Since 2012, there has been a vertiginous increase in mainland parallel traders arriving in the North District of Hong Kong to re-export infant formula and household products – goods popular with mainlanders – across the border to Shenzhen. The volume of smuggling activity spilled over into Tuen Mun and Shatin in 2014. The first anti-parallel trading protest was started at Sheung Shui in September 2012. As government efforts to limit the adverse impact of mainland trafficking were widely seen as inadequate, so there have been further subsequent protests in towns in the North District including Shatin. Sand Martin House of Sha Kok Estate, a second phase public housing complex in Sha Tin Wai. International Fellowship North, English speaking Christian church in Siu Lek Yuen. The Prince of Wales Hospital was officially opened in 1982. It provides about 1,400 hospital beds and 24 hours Accident & Emergency service to the eastern New Territories. Other institutions which provide hospital services include the Sha Tin Hospital, the Cheshire Home and the Union Hospital. Sha Tin Park's main plaza. Sha Tin College, a prestigious secondary school in the region. At present, there are 46 primary and 44 secondary schools in Sha Tin and Ma On Shan. Tertiary institutions include Hong Kong Baptist University (Shek Mun Campus), the Chinese University of Hong Kong, the Hang Seng University of Hong Kong, the Hong Kong Institute of Vocational Education - Sha Tin (IVE-ST) and the Hong Kong Sports Institute. There are numerous cultural, recreational and sport facilities in Sha Tin including the Town Hall, swimming pools, football pitches, indoor recreation centres and various track and field facilities for the use of Sha Tin residents. The 8-hectare Sha Tin Park was opened to public in 1988. Apart from its horticultural gardens and impressive water features, it also includes a large open plaza and a bandstand. The Ma On Shan Park, which is adjacent to Ma On Shan Swimming Pool, occupies 5.5 hectare of land. The Sha Tin Racecourse, occupying approximately 70 hectares, rests on reclaimed flatland. At the centre of the racecourse is the Penfold Garden which opens to the public on non-racing days. Located in Tai Wai, the Hong Kong Heritage Museum was opened at the end of 2000. Apart from introducing the art, culture and history of the New Territories, the museum also exhibits a variety of cultural artifacts for public appreciation. The museum, which can accommodate 6,000 visitors, is the largest in the territory. Cycling has been a distinctive feature in Sha Tin and is very popular among both local people and visitors. The first cycle track in Sha Tin was opened to public in 1981, running along Tolo Highway to Tai Po, and this remains the territory's most popular cycling venue, drawing many occasional riders at the weekends, as well as dedicated cyclists. To tie in with the development of Ma On Shan, the cycle track was extended to Ma On Shan. Hiking is also a wonderful activity you could do in your leisure time living in Sha Tin. There are several starting points including Hin Tin Village, Sha Tin Tau Village and hung mui kuk barbecue area leading to the track of Lion Rock Mountain hiking route. It would take you 1 hour to 4 hours to complete the track depends on the starting point and ending point you choose. A snacks stall in Ten Thousand Buddhas Monastery. Sha Tin is famous for certain local variants of Cantonese food such as ShanSui Tofu (Chinese: 山水豆腐; lit. mountain-water beancurd), barbecued pigeon and chicken congee. The cooked food stalls in Wo Che Estate and Fo Tan are hotspots for food. Roads leading to the Shui Chuen O outskirts. There are numerous transportation links both within the Sha Tin District and connecting it to other places in Hong Kong. The road network in Sha Tin is well developed to provide efficient cross-town and local access traffic. 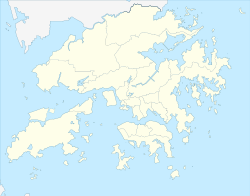 Connection between Sha Tin and Kowloon mainly relies on the Lion Rock Tunnel, Tate's Cairn Tunnel, Shing Mun Tunnel and Tai Po Road which makes it easy to reach from many areas of Kowloon as well as from Tsuen Wan. Tai Po Road spans from Sham Shui Po in Kowloon to Tai Po in the New Territories, connecting Sha Tin en route. It was once the only road connecting Kowloon and the eastern part of the New Territories. Opened in the 1960s, the Lion Rock Tunnel offers access to Central Kowloon. The Tate's Cairn Highway was completed in 1991, connecting East Kowloon (Wong Tai Sin, Diamond Hill, Choi Hung, Kowloon Bay, and Kwun Tong) and Hong Kong Island via the Eastern Harbour Crossing with the North East New Territories (Sha Tin, Tai Po and Fanling) via the Tolo Highway and through Tate's Cairn Tunnel. Route connects Sha Tin to Tsuen Wan via the Shing Mun Tunnels and to Hong Kong Island via the Western Harbour Crossing. The travelling time is only about 30 minutes. Sai Sha Road was opened in 1988, connecting Sha Tin to Sai Kung via Ma On Shan. Route T7, opened in August 2004, allows traffic to bypass Ma On Shan Town Centre when going from north of Ma On Shan to Sai Kung. An expressway (via Eagle's Nest Tunnel) connecting Cheung Sha Wan in Kowloon to Sha Tin was opened on March 21, 2008. It aims at distributing traffic from Sha Tin and the area to its north, to Lai Chi Kok, Kwai Chung, and the airport at Chek Lap Kok and Mong Kok It has shorten the trip from Sha Tin to the Chek Lap Kok International Airport to around 40 minutes. At present, there are over 110 routes of public bus serving Sha Tin. The MTR (East Rail Line) is a major means of transportation between Kowloon and Lo Wu via Sha Tin. After the electrification of the Line between 1979 and 1983, the East Rail now carries over 730,000 passengers daily. The Ma On Shan Line opened on 21 December 2004. The 11.4 km long railway has 9 stations linking Ma On Shan and Tai Wai, where it connects with the main East Rail line (terminus). The MTR Maintenance Centre is located in Tai Wai. Sha Tin to Central Link (Traditional Chinese: 沙田至中環線) is a railway project under construction which incorporates an extension to the Ma On Shan Line to Hung Hom via Kai Tak, as well as an extension of the East Rail Line to Central via a new tunnel under the harbour. While having been mass developed in the 1970s, Shatin's architecture maintains a degree of diversity. Most public housing estates developed in the era followed the UK's Brutalist architecture. Several shopping centres, hotels and government buildings around Shatin Central are cladded in red brick and resemble styles of American Modernism. ^ "Shatin showplace taking shape" (PDF). Hong Kong Standard. 21 February 1983. Retrieved 5 October 2014. ^ "Monthly Means of Meteorological Elements for Sha Tin, 1985-2016". Hong Kong Observatory. Retrieved February 8, 2017. ^ "近百名人到上水示威不滿內地水貨客". now.com. 15 September 2012. Retrieved 29 October 2014. ^ "Hong Kong Protests Against Day Trippers as China Eyes Action". Bloomberg L.P.
^ "School List". Hong Kong Education Bureau. 2008. Archived from the original on 5 March 2012. Wikimedia Commons has media related to Sha Tin.